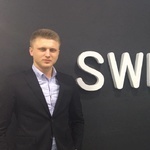 My name is Kyrill Krystallis, I am a Business Developer here at SwissMarkets, we are amongst the leading STP Brokerages In the EU. I am interested in talking with you over a potential collaboration, which includes an attractive Rebate or CPA plan depending upon our future agreement. To this message I've also attached my contact details.